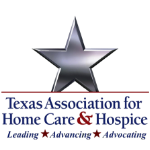 · Texas Association for Home Care & Hospice is an approved provider of continuing nursing education by the Texas Nurses Association - Approver, an accredited approver by the American Nurses Credentialing Center’s Commission on Accreditation. ADRs, RACs, ZPICs & More: What's All the ToDo & Is Your Agency at Risk? 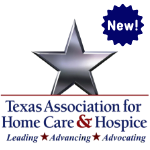 Brandi Whitemyer, RN, COS-C, HCS-D, HCS-O, AHIMA Approved ICD-10 Trainer/Ambassador is a 14-year veteran of home health and hospice as a Registered Nurse. She has experience as a field nurse, director, administrator, and regulatory affairs executive with agencies, both large and small. She holds both an Associates Degree in Nursing, as well as a Bachelors Degree in Psychology from Kent State University. She is currently a Senior Associate Consultant with Selman-Holman & Associates and the owner of Transitions Health & Wellness Solutions, a home health & hospice coding and consulting agency. Brandi works closely with home health and hospice agencies nationally in providing consulting services, survey compliance, managing medical reviews and appeals of Medicare denials, writing Corrective Action Plans, developing staff education, policy development, developing coding and quality assurance processes, and development of coding education. Brandi is certified as a Homecare Coding Specialist-Diagnosis (HCS-D), Homecare Clinical Specialist-OASIS (HCS-O), and is certified in OASIS competency, COS-C. She is also an AHIMA Approved ICD-10-CM Trainer and Ambassador. Education-Training Credits: 1.50 Hr(s) HCSSA Administrator/Alternate  Additional Documentation Requests (ADRs), Recovery Audit Contractors (RACs), Zone Program Integrity Contractors (ZPICs), and More: What’s All the To-Do and Is Your Agency at Risk? Advanced Concepts in Emergency Preparedness: Continuity of Business Operations - Don’t Get Caught! Tiffany Tyeskie BSN, RN, HCS-D is the administrator and director of nurses for Advancing at Home Health Care. She has 10+ years’ experience in the home care setting. Prior to working in home care she worked as an emergency room nurse and hospice nurse. Tiffany has earned her BSN from Texas Tech and A.D.N. from Kilgore College. Advanced Concepts in Emergency Preparedness: Continuity of Business Operations - Don’t Get Caught!